Showing results for tags 'fitted mesh'. Hi there, Wonder if anyone can give me some advice on a piece of fitted mesh clothing I am trying to make using Blender and avastar. After using avastar to weight and fitted my clothing mesh, I check the rigging and the back of the cloth was fine (except for some distortion at the armpit). I export to SL using firestorm and I keep getting this broken mesh at the back part of my clothing that I don't see when checking in blender (see picture). I checked my mesh again and again and redo it a few times but still getting the same results. Can't figure out what is wrong. Would appreciate if someone can give some helpful advice. I can share the mesh for you to check what is wrong, I am using the following: Avastar: 2.1.1 Blender 2.79 Firestorm 5.0.7.52912 Mesh body for the cloth: Dev Nana Thanks in advance. I'm looking for someone to create fitted mesh circus costumes. I can't find exactly what I have in mind on marketplace. I'm looking for a profession as I want the costumes to be realistic as possible. I need the following costumes: Ring Master and Ring Mistress Clown Mime Acrobats I know it won't be cheap but willing to negotiation on prices. Send me an instant message in world, or a note card if you prefer, and I will describe what I want in detail. P.S If anyone knows where I can find these costumes at without them being custom made, I would greatly appreciate the help! I'm looking for someone to create a fitted mesh piece of clothing that I can't find anywhere on the market. I have a few examples for reference, but are not exactly what I'm looking for. I need this to be fitted for the Slink body, and I only need it to be fitted and include a shadow map. I can do the texture myself. I know it won't be a cheap price, but at the same time, I'm not looking for a professional that does custom work for a living charging $40 an hour. If you're good with making fitted mesh, this will be a relatively easy project for you. You can make some easy lindens. Let me know if this is you if you're interested. 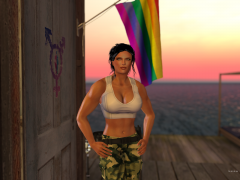 Send me an instant message in world, or a note card if you prefer, and I will describe what I want in detail, and will give you my email if you prefer to primarily communicate outside Second Life. Hello and thanks for stopping by! I'm in need of assistance in making a piece of clothing for the - Fitted Kemono Torso and UTILIZATOR KEMONO Avatar. These avatars can be found here. https://marketplace.secondlife.com/p/UTILIZATOR-Kemono/6070005 https://marketplace.secondlife.com/p/Fitted-Kemono-Torso/8351902 (Note that the fitted Torso is not standalone it's simply fitted mesh, this means the clothing can be shaped with avatar adjustments with sliders under avatar appearance. it's worn with the Kemono Avatar.) This is a mesh avatar in Secondlife that is popular among the anime and furry community. If your interested in working with me on this project for hire please be knowledgeable with the avatars stated above as well as being able to rig clothing products to them. You should also beable to know how to give the model shade dimension, but detail should look more like this shown here. You should also know how to make the product have bento physics. Areas of the product should have faces on the areas to select color changes as well. It needs to be customizable in that way. The product I'm asking to be made is a sweater with a zipper, two stand alone cuff sleeves, a Bikini Sports Top and hopefully If it's rigged well I won't need to have underwear made for it, But the hood is also part of the commission. Gloves would be nice too but then again all of this is debatable based on your price range and availability. I would like to work with you! Discussion on what can be done and what how between us via Im would be very much appericated! Examples shown below are exactly what I'm looking for and must fit the required expectations and avatar in question of using. I will provide a T-Pose front and back drawing for easyer modeling once we have a agreement on price if your willing to accept commission. Thankyou so much for your time and have a wonderful day. 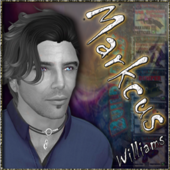 If your interested in taking my commission please leave a notecard In Secondlife to, Areis Mizin (My name might be changed to Crystal Secret if your using certain versions of Secondlife like Firestorm for an example. Cheers!